The University of the West (formerly known as Hsi Lai University) was founded in 1991 as a contemporary university intent on educating, inspiring, and preparing students to meet the challenges of an increasingly complex and globally interdependent world.University of the West is located at the center of this cultural and intellectual exchange as a multidisciplinary and multi-cultural institution that integrates the finest of liberal arts traditions with a global perspective in order to provide a comprehensive student-centered educational experience of the highest quality. 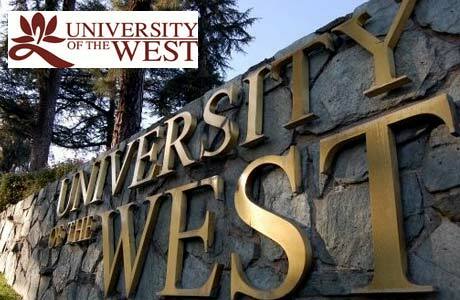 The Lotus Scholarship (the Scholarship) is awarded to students who achieve high academic standards and demonstrate a financial need in order to attend University of the West (UWest). The Scholarship was established in 2012 and has so far been awarded to more than 170 students. For the 2018-19 academic year, UWest has set aside funds to continue providing the Lotus Scholarships for new students entering the University, as well as for students seeking to renew their scholarships. New applicants must meet the scholarship eligibility requirements and matriculate into UWest in the 2018-19 academic year (see last page for students beginning Spring 2018). Returning applicants must meet the Lotus Scholarship criteria in order to qualify for a renewal. UWest anticipates awarding a large number of Lotus Scholarships for the 2018-19 academic year. The Scholarship awards up to $5,000 or up to $10,000 annually to each successful applicant to apply toward his or her tuition, mandatory fees, room and board, and other expenses required for attendance at UWest. > The maximum term of the Scholarship support is four years (or eight semesters) for four-year undergraduate students, and two to three years (or four to six semesters) for undergraduate transfer students and students entering UWest’s master’s degree programs. Eligibility:The Scholarship is available to new students seeking either bachelor’s degrees or master’s degrees at UWest. Doctoral degree students, ELI students, or students seeking certificates only are not eligible for this scholarship. > International students must meet the minimum UWest admission requirements for English proficiency. > To qualify for the Scholarship a student must be enrolled full-time at UWest. Full-time enrollment for undergraduate students is defined as registering for, and successfully completing, a minimum of 12 units each semester (24 units per academic year). Full-time enrollment for graduate students is defined as registering for, and successfully completing, a minimum of 9 units each semester (18 units per academic year). Students must be pre-registered at the full-time credit level before the Scholarship funds can be made available to them. Exceptions to this full-time enrollment rule may be made through an appeal process for students who are in their final semester or who encounter extenuating circumstances. Non-full-time students will receive a prorated amount of the Scholarship based on the actual number of units for which they are registered.